The Bible prohibits usury (the charging of interest on money) as do the three main mono-theistic religions. A biblical principle is that good is blessed and evil is cursed. In this post, the first in a series on Money, I connect the two dots/thoughts and extrapolate, finding that all Legal Tender money is accursed. It makes for sober reading, but enjoy the challenge nonetheless! Usury, the charging of interest on money, is strictly prohibited in the Bible. For fifteen hundred years the only formal representation of the Christian religion (the Catholic Church) considered participation in usury (the act of charging interest as lender OR borrower BTW!) to be a mortal sin*. This meant that it was considered so serious an act that participants were denied a Christian burial and believed to be on a short-circuit to hell and damnation. 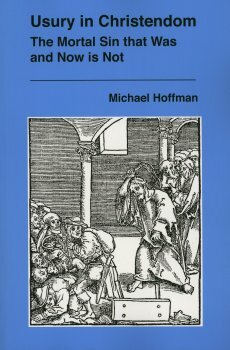 While I have issues with the simply accepting the validity of any organised church authority per se, and question man’s right to assume the role of judgement in matters that the Creator I think seems to reserve for Himself, the point is that condemnation of usury was widespread, unequivocal, clear and strong. For all, participating in usury was a sin. [Usury] was unanimously condemned by the Fathers of the Early Church, and by popes, councils and saints, as a damnable sin equivalent to robbery and even murder. Any interest on loans of money, not just “exorbitant” interest, was defined de fide as a grave transgression against God and man. Details of the political manoeuvring by the Money Power within the leadership of the Catholic Church are revealed in great detail Revisionist Historian and scholar Michael Hoffman’s book Usury in Christendom – The Mortal Sin that Was and Now is Not. Exploring the changes to Catholic teaching to obfuscate what was such a simple matter are revealing, for they show how self-interest and deception are used to twist right into wrong; simplicity into complexity and of course to allow the Money Power to have their way under the cloak of a religious endorsement. Government endorsed monetary supplies are based on usurious systems. Much has been written on the topic by others, but essentially BIS (the Bank of International Settlements based in Geneva, Switzerland) is a privately owned for-profit, commercial enterprise that Central Banks the world over borrow from and settle amongst themselves. Governments across the globe are complicit in their operations, enforcing monetary supply through legislation that enforces a monopoly. 18. Sole right to issue currency –(1) The Bank shall have the sole right of issuing currency in Samoa and no other person shall issue currency or any documents payable to bearer on demand having the appearance of or purporting to be currency. (2) A person who contravenessubsection (1) commits an offence and is liable to imprisonment for a term not exceeding 14 years. 20. Legal tender – Currency issued by the Bank is legal tender in Samoa. Globally, the Money Power ensure their income streams and power-base remains untouchable with Government complicity. Put simply, the cash that you and I use from day to day to settle our debts is issued through a usurious process, and is thus accursed from the point of its inception. BIS creates the debt out of thin air to our Central Banks at interest, who then do the same down through the retail banks to the businesses who use that money for trading and payment of wages etc etc etc. Our Governments approve and enforce this unbiblical monopoly. There are some important concepts here and not all of them are popular. The first is the existence of absolutes. Accepting the presence, let alone the consequences of absolutes (such as good/bad, right/wrong) is and always has been unpopular, for situational ethics allow us the freedom to act independently of a Creator who has set rules/parameters for living. It’s far easier to accept a cause and effect when it comes to gravity (perhaps we’ve dropped an egg) than it is to accept the consequences of crossing a line set by a ‘supposed’ loving God who instructs us not to participate in any form of usury (perhaps we’re suffering under a debt burden as a result of borrowing at interest). In a monetary sense, participating in usurious activities is normal in today’s age. First we think nothing of borrowing money and paying interest. Secondly we think nothing of depositing money and receiving interest. Thirdly we mostly never think that using money (be it cash or digital equivalents like credit cards) is participating in an accursed activity. Fourthly even if we do view the monetary systems enforced upon us by governments and their bankers as not ideal, ‘wrong’ or evil, we genuinely believe that we have no choice in the matter. I will be sharing more about this last point [that I believe is a deception] in due course. The second is the concept of reproduction after kind. A biblical principle is that ‘like produces like’ . . . the seed contains the genetics to produce offspring from the seed. Apple seeds produce apple trees, not peanuts. Elephants produce baby elephants, not giraffes! This is why according to mainstream Christian doctrine, when Adam and Eve screwed things up in the Garden of Eden (and yes, I see no evidence to convince me that this wasn’t a literal event) that all their offspring are not similarly tainted with the desire to also screw things up. In Christianese we are a “fallen” race having inherited the rebellious nature of our forebears. Thank God that there is a ‘Solution’ though, that of Christ, but that’s another story! Thus in a monetary sense, if the money we use is built upon usurious systems [and it is] then all things down the chain from that are accursed in the same manner that the originator of the seed was. People are becoming increasingly aware of the instability of current financial systems. Indebtedness (aka debt slavery); impoverishment of entire nations (and larger and larger sectors of previously wealthy nations); the rich becoming richer; extremes of power and wealth consolidation; the hollowness of monetary ‘success’; the global and environmental consequences of a desperate desire for greed-based growth . . . these are all signs of curse, not blessing. The third concept is one of separation and this is key. My read of scripture is that the underlying principle behind many of the rules and regulations of the Torah (Old Testament) was that of separation – dividing good and bad in a way that the Israelites could live in a holy manner. For example my understanding on the prohibition of eating pork is that way back then, pigs contained disease whereas other animals didn’t, thus the principle of separation (separating the good from the bad) applied in the command not to eat pork. BTW this is why I am perfectly comfortable to raise and eat my own organic pork in Samoa. It’s more healthy to me than imported meats filled with chemicals, hormones, pesticides and who knows what! It’s also my interpretation that the driving out of God’s enemies from the land of Canaan was an intended act of separation NOT annihilation as most portray. I view the intent to kill and destroy to be more the will of one man with an ego and a history of battles and war rather than that of God Himself, and take the view that the Hebrew words are best translated drive out [separation] rather than to kill and destroy. In a monetary sense this again applies in the same way. Separating ourselves from the usurious monetary systems is a wise and biblical move. In my next posts I will be sharing issues related to disconnecting from the usurious (and therefore accursed) monetary systems, explaining how I’ve been actively preparing for some years to do exactly that all the while mixing the theory and the practice. It dovetails into my recent Barter Series for I believe that financial systems based on Mutual Credit are the Lord’s way – the way that the Bible teaches us to conduct trade. I have more . . . a lot more to share that is positive and will be full of hope, as well as meat for the thoughtful. Thank you for following . 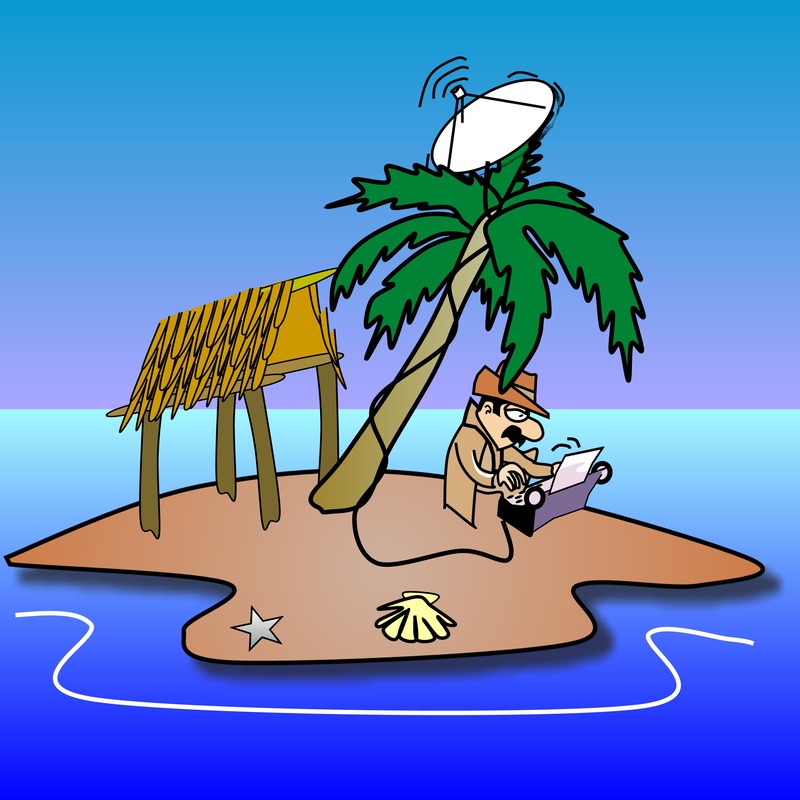 . . it’s a pleasure to blog here, even more so knowing that the results of my QUESTIONing, THINKing and BLOGging from my little island Paradise help others! Disclaimer: As always, I write from a Christian worldview fully aware that not all readers share the same viewpoint. Comments to the contrary are welcome. * There is an Old Testament exception on usury prohibition and that is one authorised against God’s enemies. In a word: Enslavement. Nice eh?